It just feels like the true answer is deeper, doesn't it? Do we love flowers because, without them, plants would merely be green? It is because plants can live for decades....even centuries, yet flowers come and go in shorter order? Or, do we love flowers because they make ordinary plants explode in extraordinary design? Maybe all of these are true. Studies have proven that the colors and shapes we see in flowers release the chemical in our brain connected to happiness. And the smells flowers emit? They release the same chemical. This chemical causes us as people to lift our spirits, and our heads. Our problems seem smaller, and our reasons for joy seems to expand. This chemical makes us smile, if even just for a short while. That's why we decorate our homes, offices, and churches with flowers. That's why we give flowers as tokens of love and adoration. That's why artists (like you and me) LOVE painting flowers! And, that's why The Perrin Method has released The Brand New Flower Series Course Package. 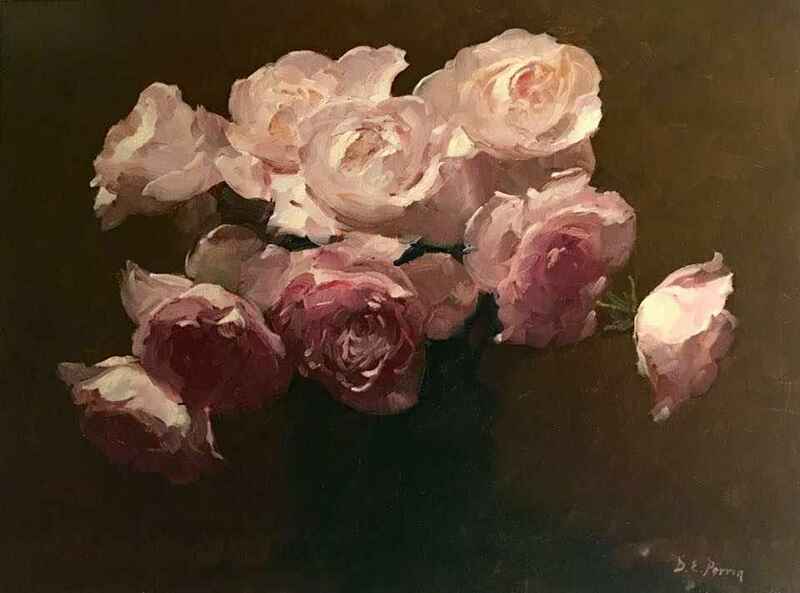 4 painting courses, taught by me, Dennis Perrin, focused entirely on FLOWERS! Register for the Flower Series Course by Feb 28th to get Exclusive Discount Pricing! Now....let's go paint some flowers! P.S. In my next post, we'll discuss why flowers make us so happy. In the meantime, share with us your favorite flower, and what you love so much about them.